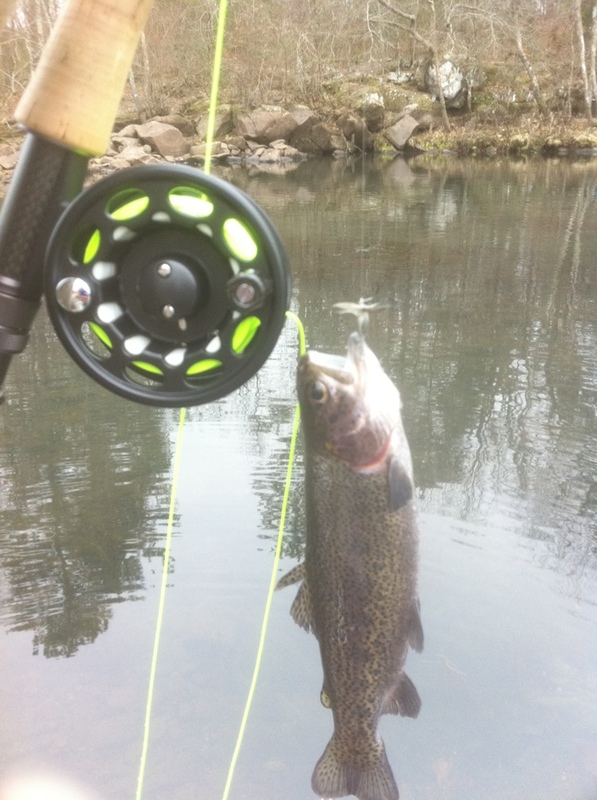 Fin-Addict Fly Fishers: Murfreesboro, Arkansas Rainbow Trout Trip..
Murfreesboro, Arkansas Rainbow Trout Trip.. Myself, Lou Gros & Cosby Chaney made a trip to the Little Missouri River on Feb. 24th through the 27th. Rainbow Trout was on the target list on this trip. 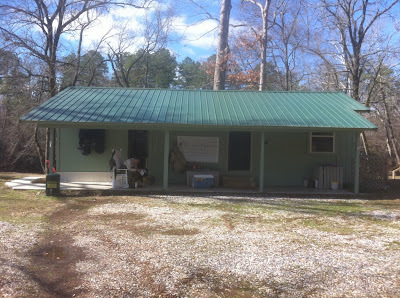 We stayed at the Riverside Cabins through Jim Simpson. I will add his info to the website as a link on the right side of the page if anyone is interested in staying at his place. Anyway the weather was perfect and the fish were plentiful. A bad storm blew through Thursday afternoon and made for muddy conditions on Friday and Saturday. We did manage to venture away from the cabin to the Factory Site where we caught better Trout. The fishing was fun and non stop, but the company of friends made the trip much better. All of our fish were caught on Brown, Olive, Black Wolly Buggers and an all Pink Thread Ribbed Midge under a Strike Indicator in size 14, 12 & 10 for all flies used. Myself and Lou tried to fool some of the Rising Trout with Dry Flies and managed to fool a few. The accomadations provided by Jim Simpson made us feel right at home. Couldn't have asked for anything better. I recommend Riverside to anyone that is interested in fishing the Little Missouri in Murfreesboro, Arkansas. Here are a few more photos the rest can be found in the 2011 Albumn under the photos. We will be planning to return back hopefully every year and make this a yearly visit as a club trip for years to come. Hope you enjoyed our report and the photos and hope you all can become a part of these trips.